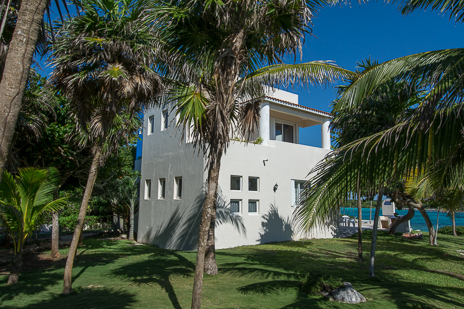 Casa de los Sueños is strategically located on a point so you have unrestricted access to both the lagoon and the ocean! 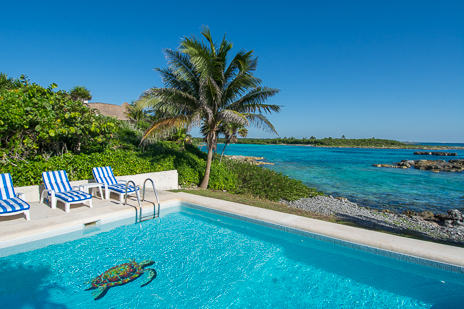 Turtle motif in the pool is appropriate for Akumal, "place of the turtles"
This Akumal vacation rental villa has privacy and million-dollar views! 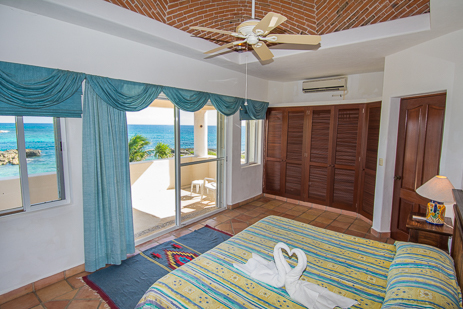 BR #1: Main floor, king bed, ocean view, private bath, patio, a.c. 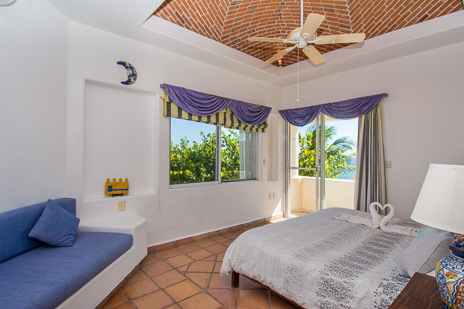 Studio: Second floor (between bedrooms), queen sleep sofa, TV, a.c.
Casa de los Sueños is a very special vacation rental villa in Akumal, Mexico. 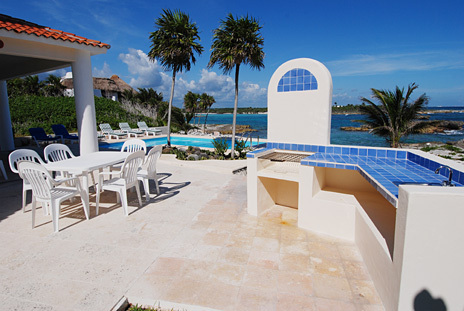 The name, Casa de los Sueños, meaning "House of Dreams" is very appropriate. 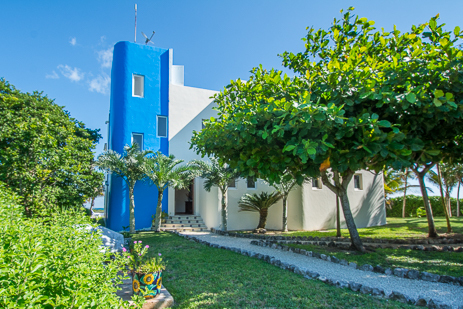 Besides offering seclusion and privacy, Sueños is a short walk to two of Akumal's restaurants and to the well known Yalku lagoon where you can snorkel in sparkling water with beautiful tropical fish. 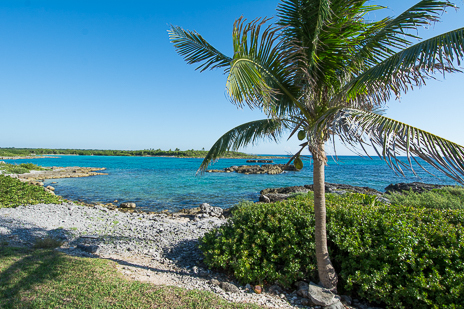 This lagoon is also just a short swim from the private beach at Casa de Sueños. 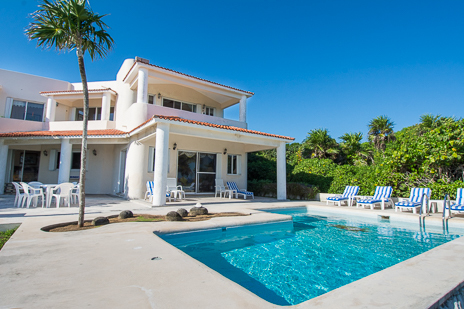 Sueños has 3 bedrooms, 3.5 baths, a beautifully decorated living room overlooking the ocean. 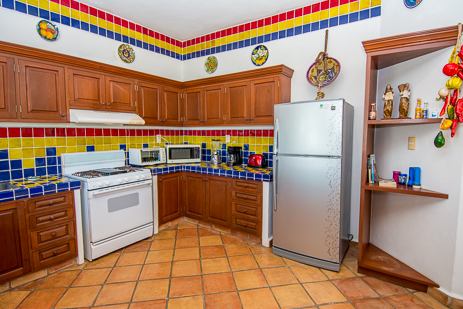 The vibrant colors provide a bright and cheerful atmosphere. 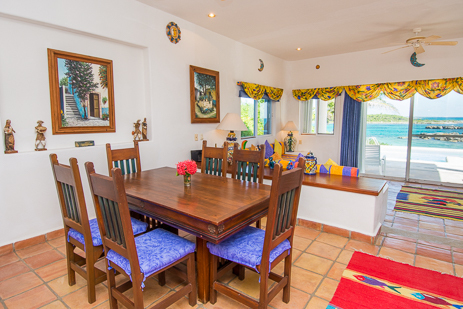 The villa also has a dining room, fully equipped kitchen, a powder room and central air conditioning. 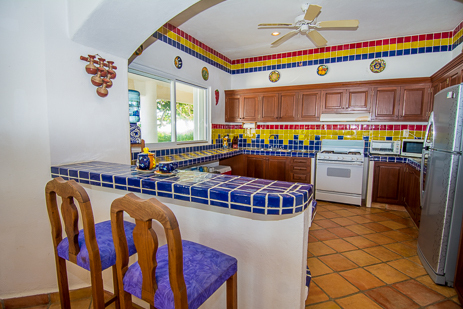 There is also a covered porch (complete with table and chairs for outdoor dining); the porch is off the living room with a pass through from the kitchen. 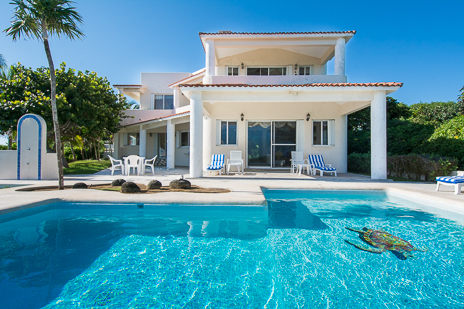 The landscaping is deluxe and you'll enjoy you the lush tropical paradise when sitting around the pool sipping a margarita. 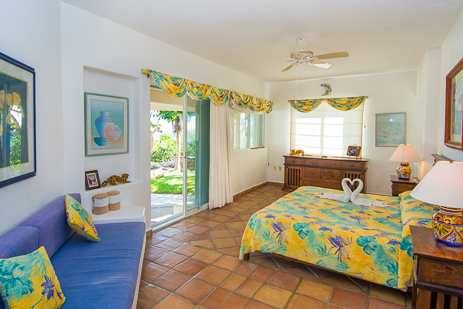 The downstairs bedroom features one king bed. A built-in couch in this room can also be used as a bed. 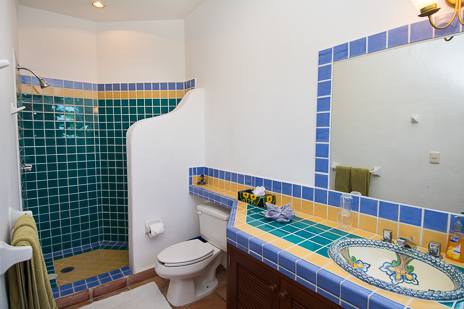 This room has a private bathroom with tub and shower. 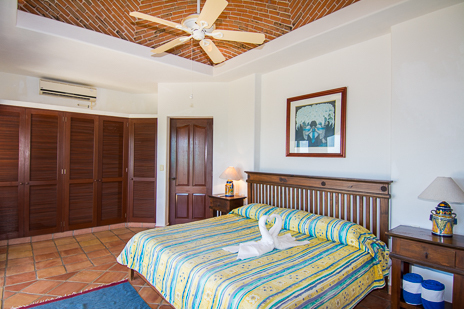 There are two bedrooms upstairs, each with a king-size bed and spectacular domed brick ceiling. 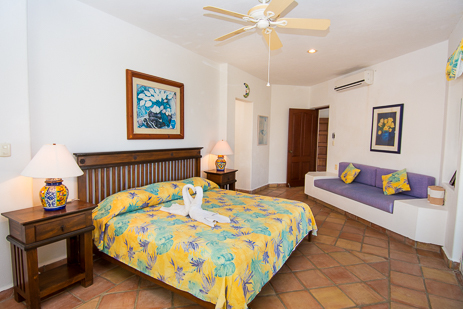 Each of these bedrooms has a built-in couch that can be used as a bed. 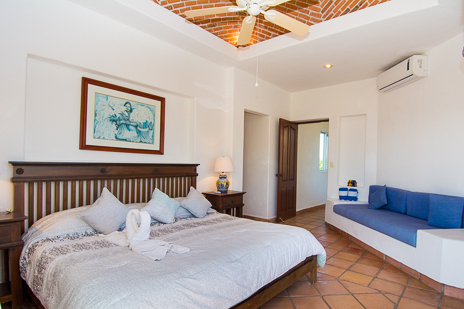 Each bedroom has its own private bath with shower and also a private covered outdoor balcony. 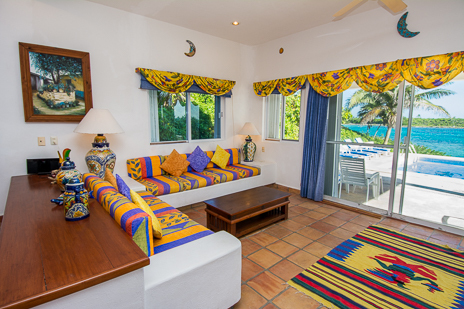 Between the two bedrooms upstairs is the family room with queen sofabed and television. 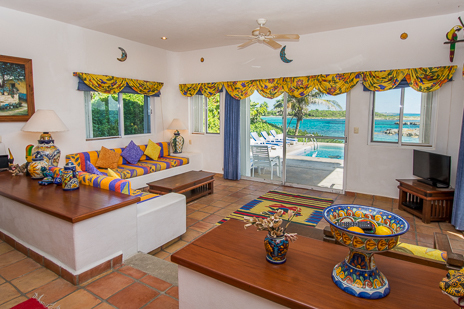 There are two sofas in the downstairs living area. 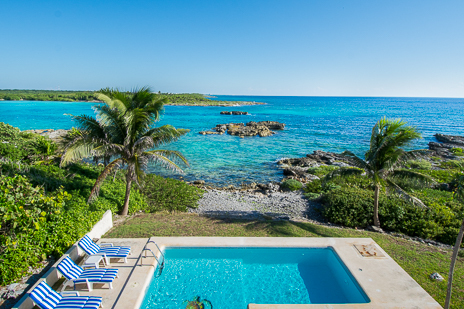 A rooftop sundeck/observation area provides a perfect spot for tanning or evening star gazing. 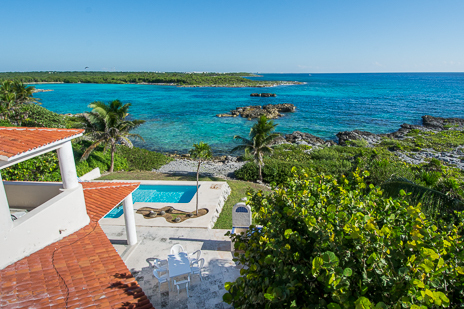 This villa is truly one of a kind and certain earns its name: "House of Dreams". 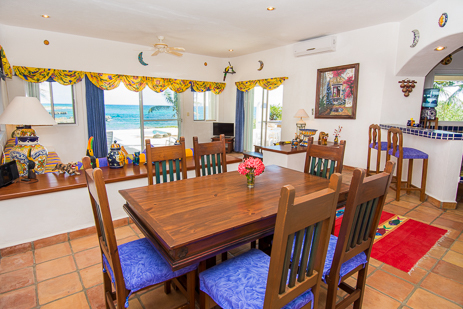 Have a pleasant dream vacation in this private vacation rental villa in Akumal, Mexico!